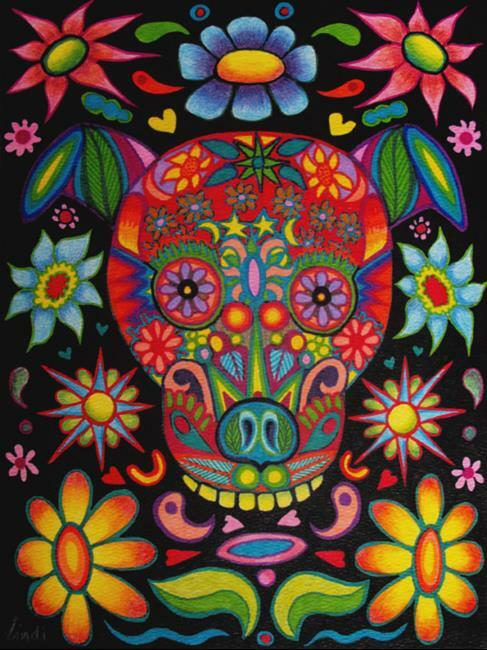 It's true that Dia de los Muertos is a sacred holiday, but it is also fun and festive. I decided to use the "Day of the Dead" to poke a little fun at my dog, Zu. He is the subject of a lot of my work. He is also aging, and someday, I'll use the holiday to remember him. But for now, let me explain the inspiration for this piece. A lot of people see Zu's markings (especially the big white head) and notice the resemblance to a skull and/or skeleton. 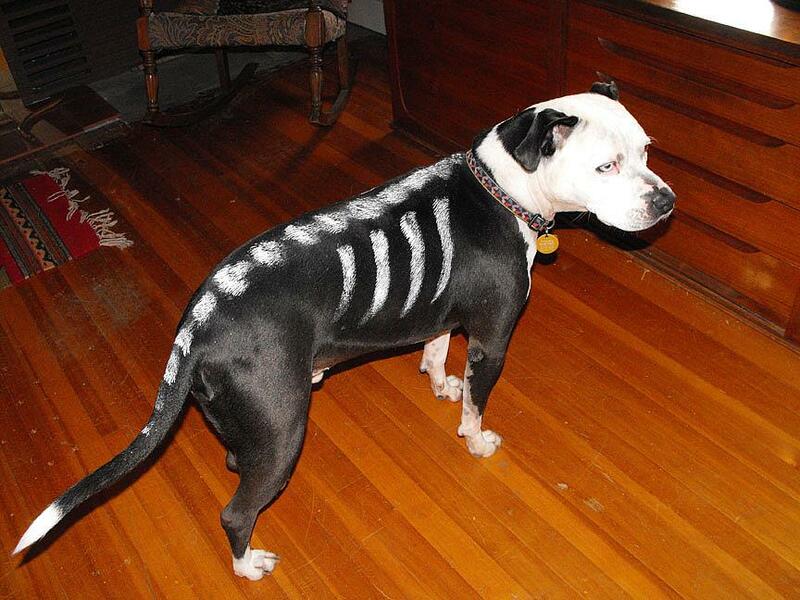 My detail photo below shows Zu in his Halloween costume a few years ago. See? That's how I came up with the idea for this piece. Instead of a traditional skull, it's Zu! So there you have it -- it's Dia de los Zuertos.